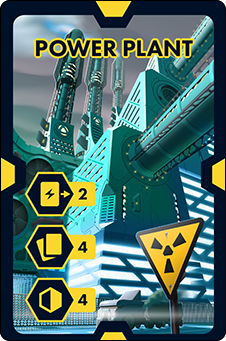 Rise to Power is set in a futuristic world, one that has discovered and abundant source of energy, dubbed PRISM. PRISM has accelerated society’s technological progress and fed a boom in power needs. PRISM is abundant and radically different to conventional power sources. Cities are converting their power grids to make use of the PRISM, and demand is high. As the CEO of a power company, your job is to increase your company’s influence by supplying power to districts and, ultimately, control of the city’s power needs. 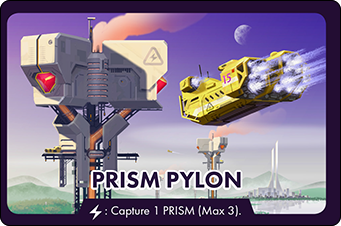 PRISM is the new power type that fuels the construction of city districts. 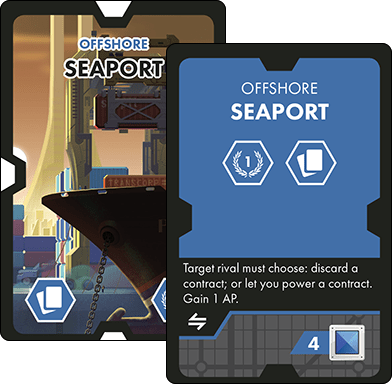 Each turn players acquire two contracts, if able. The spend PRISM on contracts to flip them over to the district side. Players build their cities around a central power plant. 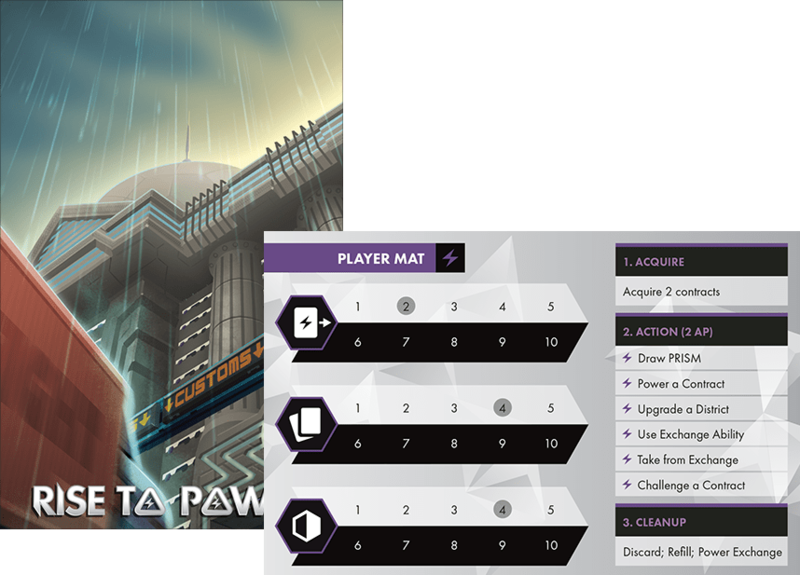 Each player gets a mat to track various attributes (hand size, cards drawn and powerable districts). These are used to track attributes on the player mats. Agendas provide bonus points for players that can complete them. 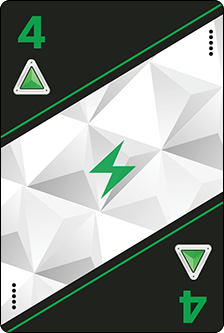 Players may choose to play with Power Pylon cards which can store PRISM. At its core, Rise to Power is a city-building strategy card game. Players take turns extracting PRISM and use it to fulfill contract offered by the government. 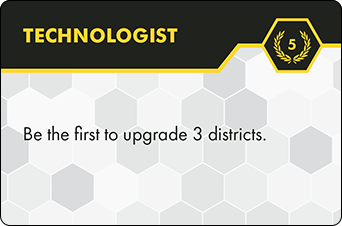 Throughout the game, players will draw PRISM cards and use these to pay the PRISM cost needed to power or upgrade a district. Players are rewarded for paying the exact amount, with no wastage, portraying the need for efficiency and promoting careful planning. See what Tom Vasel thinks of Rise to Power. JR Honecutt does a guest review of Rise to Power. Rule & Make is Allen Chang and Alistair Kearney. We are two guys from Queensland, Australia who love tabletop games; the art of organisation and crafting beautiful things (digitally and physically). We love them all equally. Allen spent his formative years training to be the best baseball ever, only to discover one day, that being an inanimate object kind of stinks. 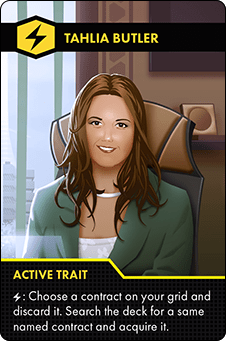 Alistair is a counter-intelligence double-agent who triple-crossed his left side and is now working for the right side. Left foot green was the last straw, and he has given up on such confusing party games indefinitely. Allen and Alistair co-founded an open source software project, called Symphony CMS, which to this day boasts over 11,000 members (spammers inclusive). Symphony has been around for over a decade and is currently used by many high-profile organisations around the world. Despite its success as an open source platform, it hadn’t brought the duo fame and riches; which Allen and Alistair don’t really care for. So really, it’s all good. From software to hardware, Allen and Alistair are now trying their hand at making physical things with their digits rather than using their digits to make things digitally. See more information about Rule and Make. 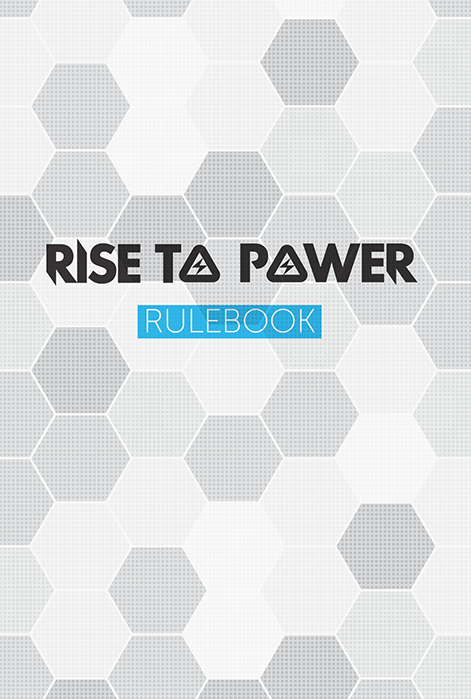 Rise to Power can be played with 2-6, ages 12+ in about 30 minutes. Kill the Overlord is Back!